Amazing, amazing day yesterday! 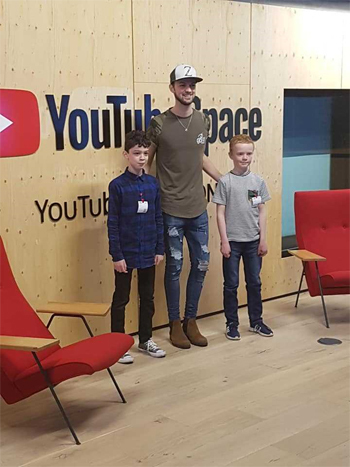 A few weeks back I was lucky enough to win a gaming session with YouTube sensation Ali A (11 million subscribers) for the son and one of his friends; well we went, they gamed, they chatted and they walked away with a goodie bag and signed book each! I absolutely love winning prizes for other people and especially money-can’t-buy ones. It makes all the hours I put into this hobby worth it. Yesterday I made memories for my son that will be etched forever in his mind! And if you fancy joining me in this wonderful comping world then make sure you head on over to Simply Prizes, where if you are not yet a member you can trial our service for free. And I can’t say fairer than that! You’ll find literally hundreds of competitions listed on our site. You too could soon be making those forever memories. Now talking of winning and entering competitions check out these beauties I’ve found for you all this week; there is a glamping break, a year’s worth of shoes and a Tom Tom Golfer 2 GPS watch all waiting to be won. Anorak has a 3-night glamping break at Feather Down and a £200 Anorak voucher up for grabs; with no electricity in or around the tent it is the perfect opportunity to sit back, relax and unwind. Just enter your details here before 28th February to get your name in the draw. However, if the thought of sitting back and doing nothing holds no appeal, then how about a little shopping spree? One where you can get yourself a year’s worth of shoes! Yes? Well enter your details here before 23rd February to be in with a chance! And if you are really sporty and want to get your hands on a Tom Tom Golfer 2 GPS watch worth £199.99 then head over here and enter your details before 2nd March. Good luck! 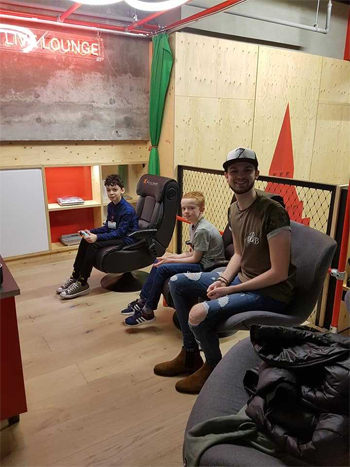 And don’t forget about our Facebook page too, the team regularly list comps there and if you give us a like you can make sure you don’t miss out on the action! Have a great week. Stay lucky!